Click on pictures for details! 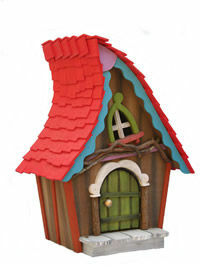 These fairy houses are roughly 24" tall or more - great for garden or home decor, you may opt for different house and roof colors. 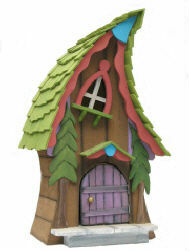 These houses are hand-made and decorated right here in the North Georgia mountains under the supervision of our head wood elf, Art Millican, Jr.
Art has years of experience as a Disney model maker and designer, and brings those skills and imagination to you. 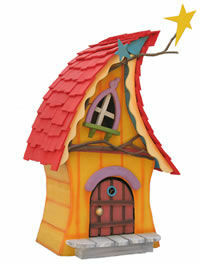 Each piece of trim is hand cut and carved, individually painted and assembled.